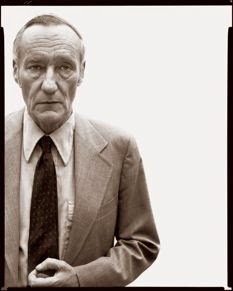 Pop Culture Lunch Box: Best Magazine Reads: William S. Burroughs is the King of "Gentleman-Junkie Cool"
Best Magazine Reads: William S. Burroughs is the King of "Gentleman-Junkie Cool"
Today is the anniversary of William S. Burroughs’ 100th birthday. Here are seven interesting things to know about the beatnik rebel, from an excellent essay by Peter Schjeldahl in last week’s issue of The New Yorker. Schjeldahl reviews the new biography Call Me Burroughs, by one of my favorite writers, Barry Miles, who has written books on The Beatles, Pink Floyd, The Jam, Jack Kerouac, and Frank Zappa. His most famous book, Naked Lunch, was mostly written in Tangiers with the help of Kerouac and Allen Ginsberg and was released in 1959 in Paris was banned in the prudish U.S. until 1962 – and not allowed to be sold in Boston until 1965. Ginsberg came up with the title, having misread the phrase “naked lust” in one of Burroughs’ manuscripts. Kerouac’s Old Bull Lee character in On the Road was based on Burroughs. Hw was always high on something while writing, and his “hollow voice” greatly influenced J.G. Ballard, William Gibson, and Kathy Acker. Burroughs died in 1997 of a heart attack at the age of 83, living his last 16 years in – oddly – Lawrence, Kansas.